She is fearless, doesn't give a damn to what comes her way. Ready to try anything new, always at the front row and never gives up. Never compares herself to her competition, this summer you can call me scary spice. I have never ever owned or in fact have worn a leopard print piece of clothing. Well, up until now. I've always found it so hard to pull off unless you're in the front cover of Vogue or back in 90s singing along to the Spice girls. It's just one of those styles that are so out-dated you seem silly wearing, but oh boy I've eaten my words. For this look I've also gone with a slightly different makeup look, I wanted to incorporate the bright pattern of the print with my eyes. This orange like red emphasised my eyes much more than I'd ever imagine, since I only ever wear brown eyeshadow this has given me the confidence to play around with my palette a little more. We found the most beautiful nature light when we were shooting this look which gave my makeup look a totally different dimension. So happy with the end results! Feelings can not described on how happy I am to be blogging again! I've been busy, real busy. Building an Airbnb empire over the past year, which truthfully became too much. After a few months I felt exhausted, not only for the physical and mental aspect but also because I didn't enjoy it any longer. I realized that I stopped blogging and even appeared as a ghost on social media, and hey that's not me. I left it longer and longer, days turned into weeks and it then became a seven-month break. I missed it terribly, but it also gave me some time off to focus on other things. So I thought, today is the day! This whole outfit is from Zara, I completely fell in love with their summer collection. Wearing this gorgeous dico ball-like skirt and toning it down with a casual white t-shirt. Adding some color with these pink court heels and some fabulous cat-eyed sunglasses. 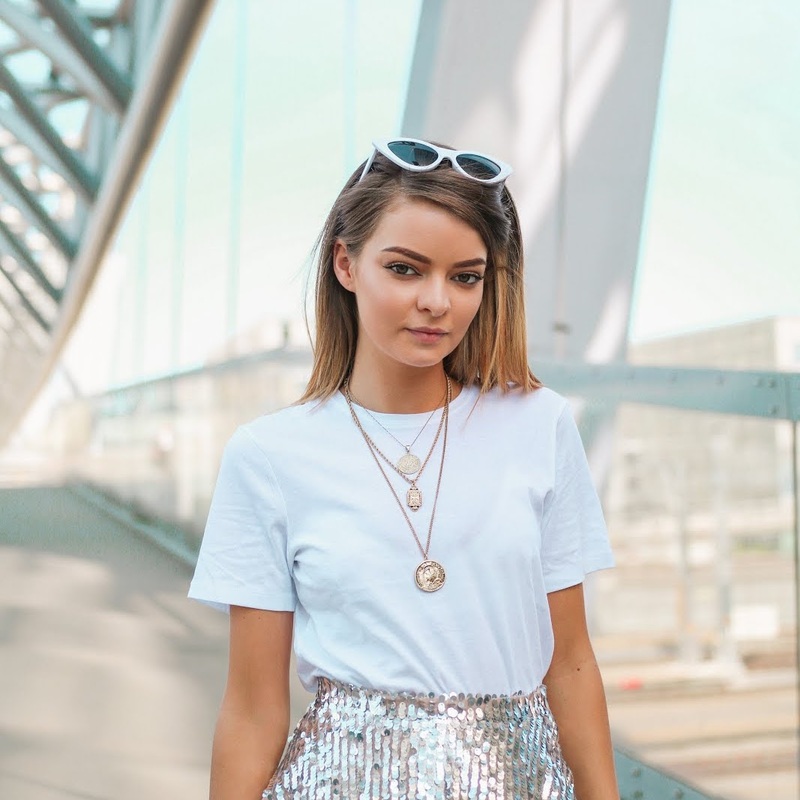 it's a super fun look which you can wear on any occasion, apart from walking into work looking like you've just might of done the walk of shame, well, unless you're a girlboss! What better time to bring out some faux-fur ey?! Now, I can finally admit that summer is over (cry), and my glowy natural tan has faded away alongside that healthy sun kissed feel. Nevertheless Autumn is one of my favourite seasons for layers, especially for those back-breaking heavy coats. I've missed shooting so much these past few weeks, but since we have bought our own apartment most of my time seems to be swallowed into the never ending list of things to do. I've never had such a big move, I mean, this is the third country I have moved to with only one suitcase in my hand, but since I've been living with my boyfriend for three years, we've gained a sport of collecting things. Boxes and boxes to pack and unpack, going from interior store to interior store and countless trips to IKEA, I can admit I'm shattered. I would never thought I'd be the person to say this but there's not enough hours in day. August is coming to an end and the fall is beginning to awaken. Alex and I have our plate full this weekend, today is the first trip to IKEA and tomorrow at dawn is our monthly trip to Sweden to shop for the month. We've only got two weeks until we move to our very own apartment and we still haven't started to pack! I don't know what weekends are anymore, always on my laptop, planning, searching and buying but I'm so excited to start decorating my new apartment, and of course, I can't wait to show you guys! I put my life on hold for five weeks. So many errands, people to meet, e-mails waiting on a reply and mainly routines getting organized. Alex and I bought an apartment, not sure if I've mentioned this before, but that has been keeping me busy all week. Deciding what colour scheme we will go for, looking for that perfect light, soft wooden floor, a big fluffy dreamy bed and all the other million things that I need to think about! I feel like life has gotten so busy since I've been back home, but that's the way I like it, fulfilling my many hours I have in this short life until the next. This summer has been the best as of yet, Alex and I decided to run away for two weeks and enjoy the summer away from home, well hello Greece! If you're from the UK you probably associate it as 'Zante', where most college students go for a heavy week fueled by clubs and alcohol. 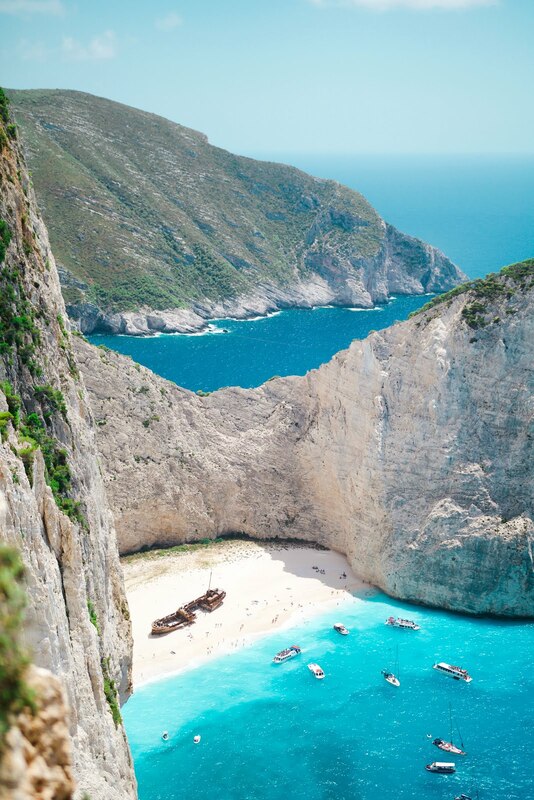 Yes, we knew that, but either way, we wanted to go to Greece and experience the famous shipwreck, and all the little-hidden beaches. 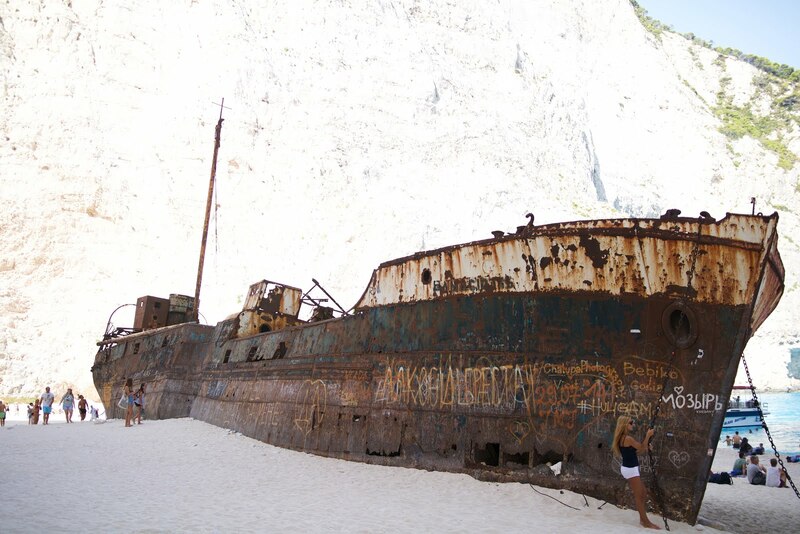 You can only get to the Shipwreck beach by boat, or, if you want to reach the top to see the whole view you can either jump on a bus or rent a car, which we did. Don't plan your trips beforehand, I can't express how many tourist sales stands there are around Laganas which sell great day trips for a much cheaper price, which you can always get discounts, that's if you know how to handle the sales representatives. Most people see the images of the beach online but when you're there right in front, it's a whole new world. A moment where you realise how lucky you are, to be able to travel, which sadly not everyone can afford nor feel the need to. It is a pretty scary feeling being so high and looking down at a drop which can be fatal, so make sure you bring a good pair of shoes, that was our mistake! 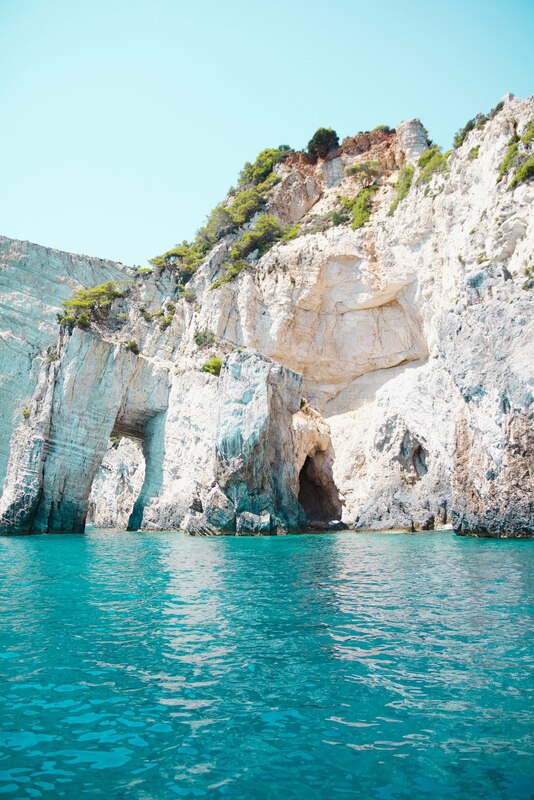 We chose the half a day trip that costs €20 which includes transport to the port, boat ride to the wreck which takes 1hour 20 minutes give or take, an hour on the beach and on the way back they stop around the coves which you can do a little snorkelling. 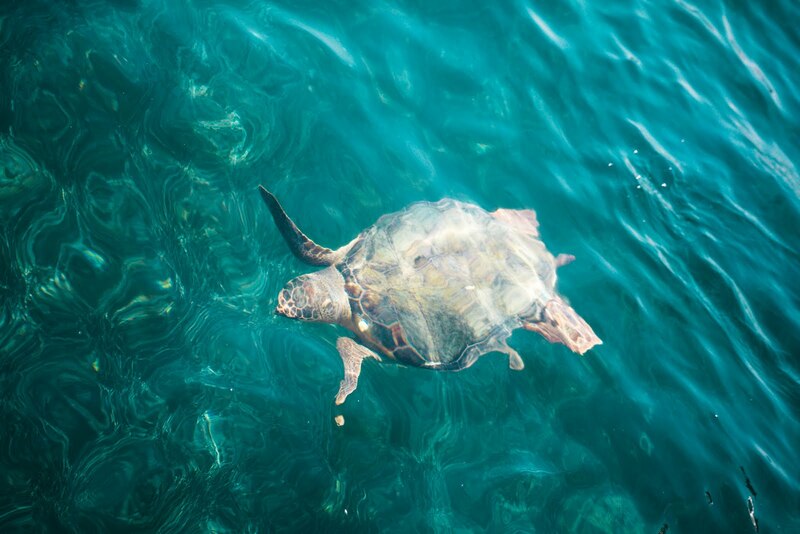 The sea turtle spotting in Zakynthos is a must, costing between 10-15€ depending which company you go with, it's a 3 hour trip to the turtle island, a 15-minute swim around the coves and a turtle spotting experience. Zakynthos is famous for its turtles, the Greeks look after them with care and respect. They have a few rules of not going to the beach after sundown or not anchoring your boats at certain areas, this is for the privacy of the turtles to lay their eggs in the evening. This is the best beach you'll go to in the Island, if you want great sunbeds with restaurant service right at your feet this is the place to be. 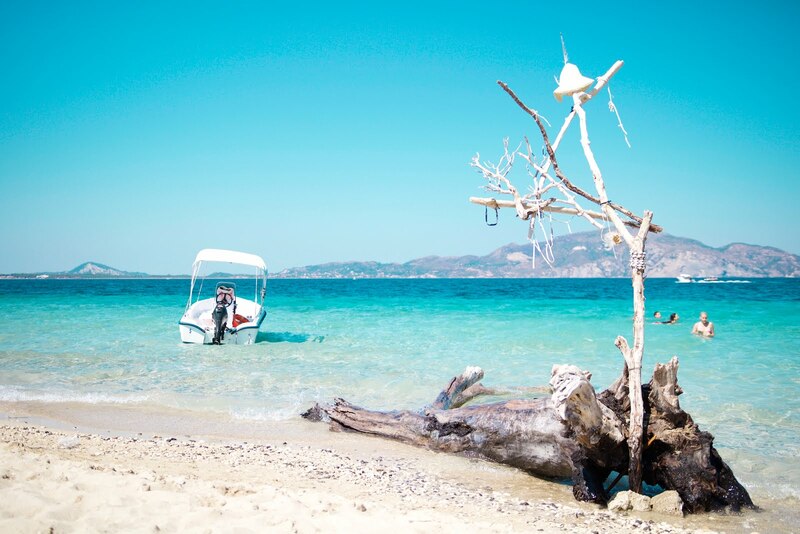 It's a long sandy beach with many different water sports to choose from, free buses depart at every hour from Laganas and Zakynthos town with a free return ride! All you need to do is keep your receipt from your sunbed and hand it over to the driver on your return trip. These two beaches are hidden away from most tourists, reachable by only with car makes it that extra special. Port Vromi is a stunning, clear water and a pebbled beach, mainly used for a quick dip and boats leaving for the daily trips across the island. I didn't see any sunbathers there, probably as it's mostly pebbled and uncomfortable. Xigia beach is definitely something else, a free, natural sulphur Greek spa! Sulphur springs have therapeutic healing elements, killing bacteria such as acne and even moisturizes the skin. If you've never been to a Sulphur beach, you will surely notice the smell! If you want to go solo, renting a boat is what you need to look for! Not only to have the independence to where and when you want to go but also to become your own captain! Alex and I rented a boat for the whole day, which was €100 plus petrol which was around €20 if I remember correctly. Some stands charge €40 per hour so make sure you find yourself a good deal. We drove around all the beaches, stopped in a few coves for a swim and simply just relaxed at the middle of the ocean with our homemade sandwiches! The trip to Olympia was one of the best, I love a good old history lesson, if you're wanting something more than a sandy-beach holiday, this is what you ought to do. Olympia is where the Olympics was born, wow, I mean that's something you must visit if you're there right?! This trip was €49, which included a pick up from your location to the Port in Zakynthos, you would then get on the ship to the mainland which a coach awaited, an hour bus drive to the site and a guided tour around the archaeological site, ending with two hours to stroll around the town and eat some lunch. Zakynthtos town was much quieter than I expected, which is a plus. It's small, full of restaurants, just as you would expect from a holiday. There wasn't much to see if im being honest, we only stayed there for an hour or so as there wasn't much to do, it's not as beautiful as other Greek Islands. If you're into the party scene this is the place to be, thousands of people travel to this island to get reckless. Clubs next to one another, countless bars and restaurants filled with young people ready to party. They tend to come in groups, groups of boys and girls ready to have fun. On the other hand, it could be quite dangerous, many fights and even deaths so I heard on the news whilst we were there, so if you're out and about late at night be aware. Don't stay in Laganas if you want a quiet/romantic holiday. Don't book day trips/boats/events until you get there. Avoid the beach at Laganas, dirty and the music was too loud. If you go out clubbing, be carefull from pickpocketers, Alex got his phone stolen.